This is a prime spot for birding, hiking (all easy hikes) and great views of the Arcata Bay. At any time of the year birds or mammals can be viewed from one of the many trails that network the over 225 acres that are open to the public. Located at the north end of Humboldt Bay, the sanctuary is situated along the Pacific Flyway, a major migratory route for thousands of birds that breed in the far north and winter in California, Mexico, and Central and South America. 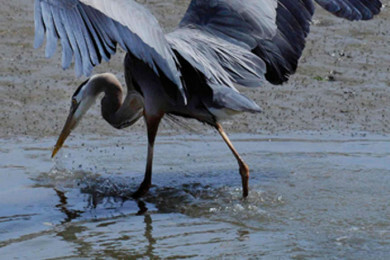 These wetlands provide homes and migratory resting places for over 270 species of birds. 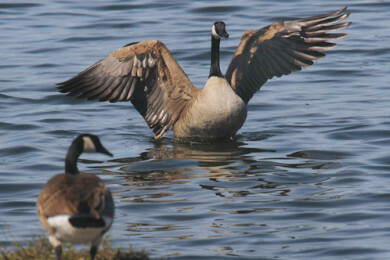 Although birding is good year round, it’s best from mid-July to early May. Songbirds are abundant from spring through fall. A variety of raptors reside or visit here seasonally. 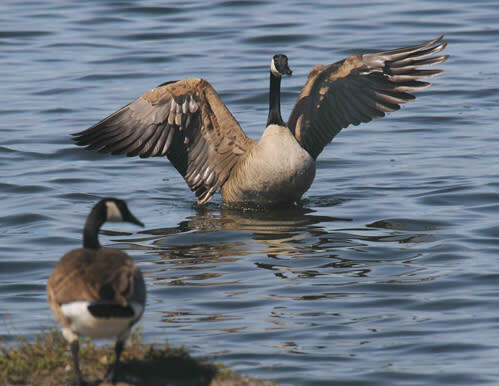 From October through April, look for waterfowl, shorebirds and wading birds. The Arcata Marsh Interpretive Center on South "G" Street has a bookstore, free maps and literature, interpretive displays, bird lists and log of recent bird sightings. 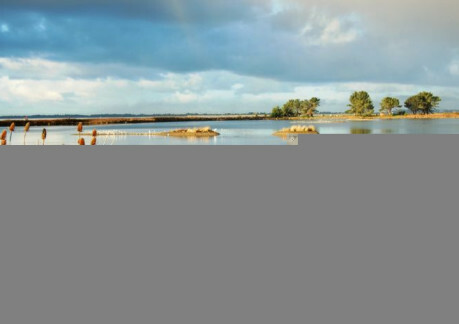 The Arcata Marsh and Wildlife Sanctuary is a world famous innovative wetland system built as a cost-effective and environmentally sound wastewater treatment solution. 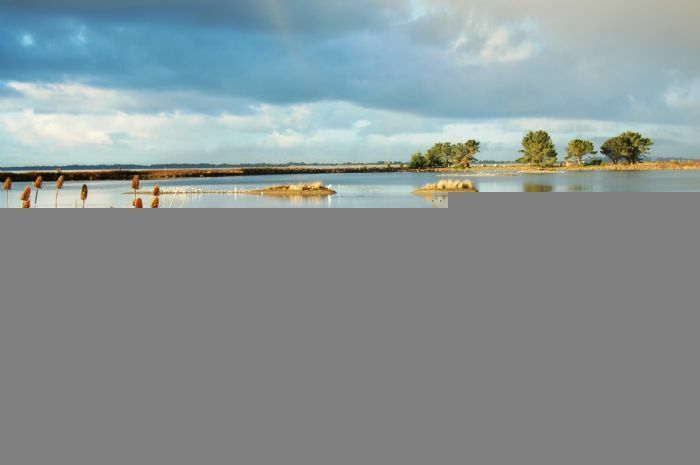 In addition to effectively fulfilling wastewater treatment needs, it provides an inspiring bay view window to the benefits of integrated wetland enhancement and wastewater treatment. 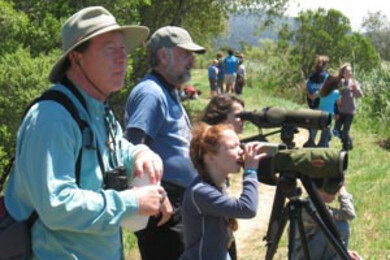 The Redwood Region Audubon Society offers BIRD WATCHING TOURS EVERY SATURDAY MORNING BEGINNING AT 8:30 a.m., which begin at the Klopp Lake parking lot end of So. I Street. Base camp for Godwit Days held every April. 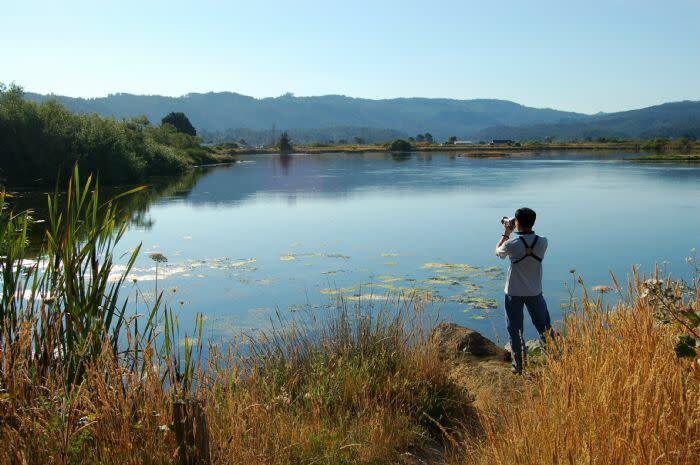 Friends of the Arcata Marsh offer Guided Marsh Tours focused on the plants and ecology of the marsh every Saturday at 2pm. Meet at the Interpretive Center on South G Street For more information, call (707) 826-2359. 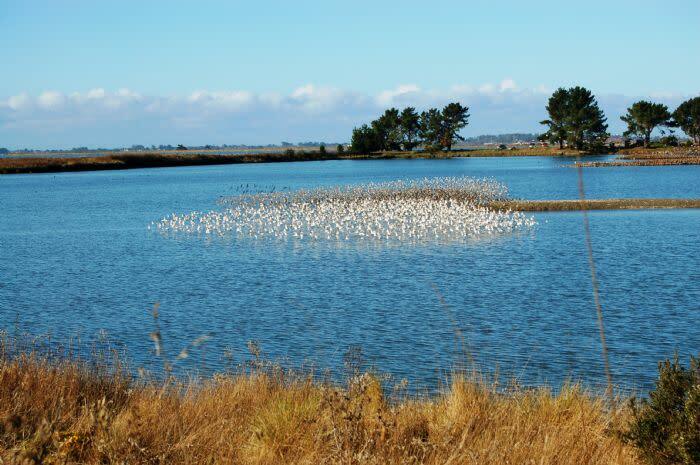 A grass-roots organization, Friends of the Arcata Marsh (FOAM), provides educational tours of the Arcata Marsh and Wildlife Sanctuary and wastewater treatment facility free of charge. A wide variety of information about the marsh is housed at the interpretive center.